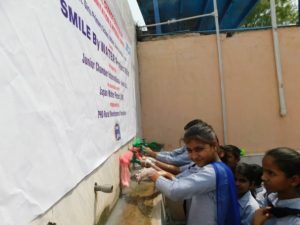 In light of the adoption of the Sustainable Development Goals (SDGs) by the Member States of the United Nations in September 2015, Junior Chamber International (JCI) Japan, a public interest incorporated association, decided to kick off the campaign of SMILE by WATER up until 2020 to contribute to the realization of Goal 6, Clean Water and Sanitation: Ensure availability and sustainable management of water and sanitation for all. 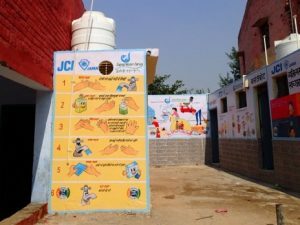 In the fiscal year of 2018, as the third year of the SMILE by WATER campaign, Japan Water Forum (JWF) collaborated with JCI Japan and provided support in conducting the SMILE by WATER project of securing safe drinking water and sanitation facilities for villages and schools in the rural areas of India. 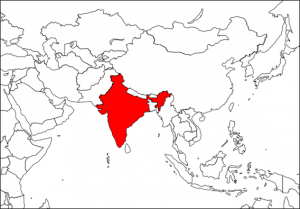 The 2 target villages (i.e. 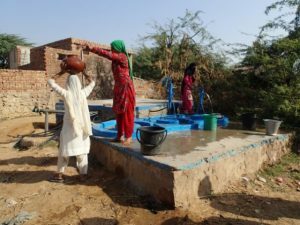 Ramnagar and Jalalpur Villages) used wells that are 1 or 2 kilometers away from the villages as their water supply sources for drinking and domestic use. 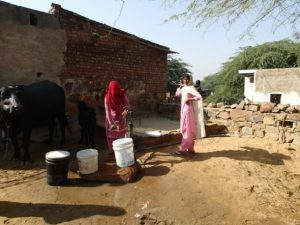 The role of fetching water for the household use is mainly fulfilled by women and girls of the villages, and they had to walk to the wells several times a day to get the water as a daily practice. 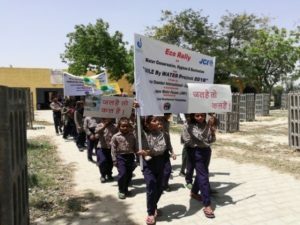 The distance to the nearest water sources and the hard work of carrying water back to their homes made them hard to acquire enough water necessary for their daily use; thus, adverse effects on securing the food and sanitation were evident. As to the 3 target schools (i.e. 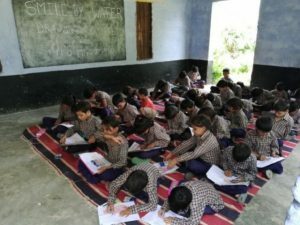 Rithoj, Hajipur, and Kiranki Public Schools), they had latrines at school, however, most of them were impaired due to breakage, aging degradation and/or undeveloped water supply systems. 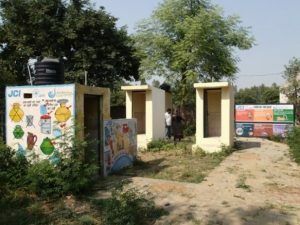 Therefore, their sanitation facilities were under unhealthy conditions and some children defecated in the open. 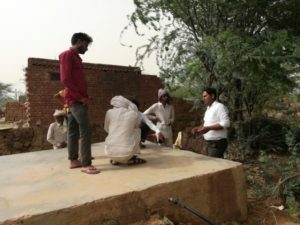 Conducted focused group discussions with the residents, dug one (1) deep well, laid main water-supply pipes, connected the main pipes to the existing water-supply facilities, and painted the walls (4 public spaces within the village). 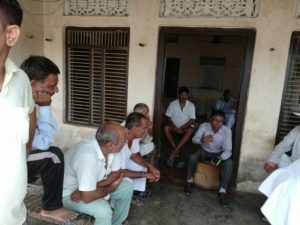 Conducted focused group discussions with the residents, dug one (1) deep well, laid main water-supply pipes, connected the main pipes to the existing water-supply facilities, extended the pipes from the existing water-supply facilities to the shared water faucets, and painted the wall of public space. 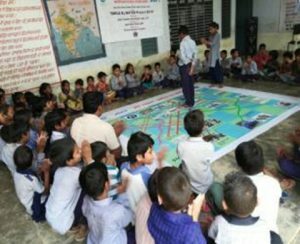 Conducted discussions with the school operators, built a sanitation facility (with 2 separated toilet rooms), repaired the existing sanitation facilities (3 spaces), retained water-supply facilities (installation of water storage tanks and pipes), painted the walls of the sanitation facilities (7 places), and implemented the educational program (5 times). 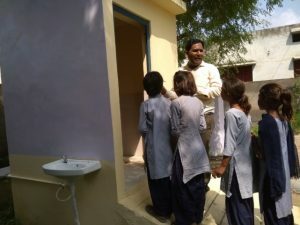 Conducted discussions with the school operators, built a sanitation facility (with 2 separated toilet rooms), repaired the existing sanitation facilities (2 places), installed a wastewater infiltration inlet (one unit), retained water-supply facilities (installation of water storage tanks and pipes), painted the walls of the sanitation facilities (7 places), and implemented the educational program (6 times). 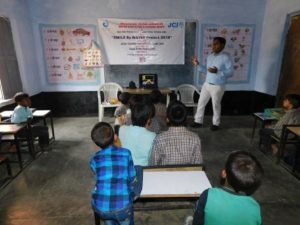 Conducted discussions with the school operators, built a sanitation facility (eco-san toilet with one separated toilet room), repaired the existing sanitation facilities (3 places), installed a wastewater infiltration inlet (one unit), retained water-supply facilities (installation of water storage tanks and pipes), painted the walls of the sanitation facilities (7 places), and implemented the educational program (6 times). 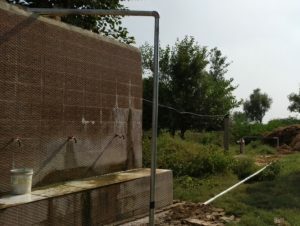 The facilities of getting safe drinking water within the village have been in place for the 2 target villages (i.e. 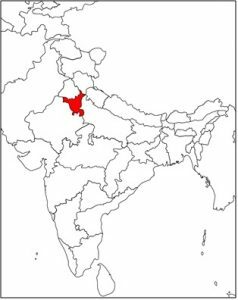 Ramnagar and Jalalpur Villages). 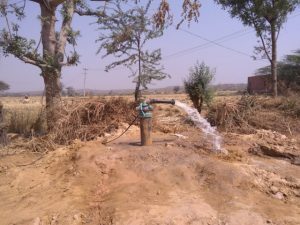 Therefore, it is expected that the life of the village people will be improved by being able to acquire enough water for drinking and domestic use, and what’s more, without walking to the distant water sources. For the 3 target schools (i.e. 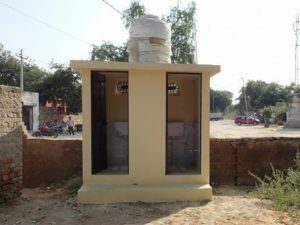 Rithoj, Hajipur, and Kiranki Public Schools), the sanitation facilities of school including adequate water-supply systems have been retained and in place. 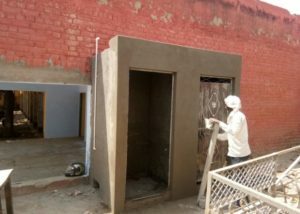 New toilet rooms have been also added and the raising-awareness program and trainings for pupils, teachers and school workers have been conducted in order to use and maintain the sanitation facilities in an adequate manner. Because of these practices, the sanitary condition is expected to be improved. 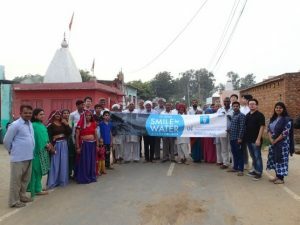 Japan Water Forum would like to express our sincere gratitude to Junior Chamber International Japan, PHDRDF (local partner organization), neighboring community unions of the villages, and many other people who worked with us, as this Project could not have been completed without your support and cooperation.